Looking for the best time to sell your home? You may be under the impression spring is the best time to sell your home, which is a common misconception. Yes, spring is more convenient for sellers because the weather is more conducive to moving. And yes, it is easier for buyers to find and tour homes without the snow on the ground. However, this convenience does not translate into higher profit margins or a shorter time on the market. 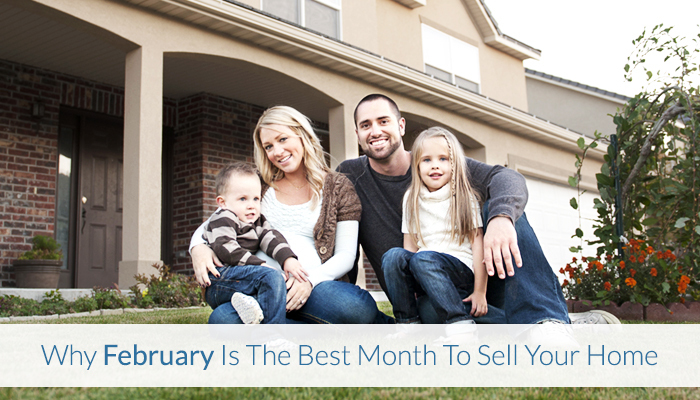 If quickly selling your home and receiving the most money possible for your listing are important, you should consider listing your home in February! Don’t believe us? Find out why homeowners, who list their home between February 15 and April 15, receive higher offers and sell their homes quicker! Based on data from the Des Moines Area MLS (Multiple Listings Service), 1,545 homes that were listed in the MLS in the Greater Des Moines metro area sold between February 15 and April 15, 2014. In the Western suburbs of Clive, Urbandale, Waukee and West Des Moines, there were 395 homes listed and sold during the same time frame. Beyond the increased volume of homes sold during the period under consideration, the average days on market for homes during this period was only 46 days with a median of 25 days on market. In short, homes sell quickly during late-winter and early-spring! To top it off, the Sale Price/Final List Price ratio for these homes sold was 98 percent; this means that sellers sold their home for 98 percent of the final listing price. One of the main reasons homes sell quickly during this timeframe is due to buyer urgency. Individuals looking to buy homes during the winter are not looking for fun. (Who wants to spend more time outside during the cold, wet months than they have to?) If they are making the effort to look at homes during less than ideal conditions, they have every intention of finding their future home. Buyers are looking at homes because they need to buy, and they need to buy fast! Still not convinced? Cy Phillips, CEO and President of Space Simply, discusses the benefits of listing your home during the months of February through April. “Since I’ve had my license, it seems as though the biggest sense of urgency for buyers is during the late February, March and April months. I see more multiple-offer situations, more homes selling at or above list price and the days on market seems to be lower than during other months. In fact, last year homes that were listed between February 15, 2014, and April 15, 2014, sold in 52 days on average with the median days on market was only 30 days. Beyond that, these homes sold at 97 percent of list prices with a median of 98 percent of list price." Historically, there is also less competition on the housing market during this time of year. Many homeowners wait to list their properties until spring. They are focused on recovering from the holidays or are waiting to list their homes until the warmer weather, to make their moving process easier. Many companies and corporations who relocate employees tend to transfer individuals or hire more at the beginning of the new year. Fewer options and motivated buyers make for the perfect conditions for a simple, quick and successful home sale. Still Have Questions? Contact Space Simply! If you are still wondering why February, March and April are the best months to list your home or the best way to make a quick turnaround and get your home ready for listing - Space Simply is ready to answer your questions! Connect with us online or at (515) 423-0899 to discover how you can list your home with Space Simply and avoid the expensive fees and commissions associated with traditional real estate agents.